Open Green Map Mobile Version launched! It is only a few days left and we begin our Budapest challange. Here is the agenda in its 99% ready state. Some information is still incomplete. However, ready, steady…. Darshan, H-1088 Budapest, Krúdy Gyula utca 7.
morning 9.00-13.00 Green mapping workshop I. This panel aims to give a hint on the unique ecoutourism resources of Budapest. Morning part and full day combination only for people in good phisical condition! Food section will introduce participants to the rich food traditions as well as some of the latest struggles of the Hungarian capital from a green perspective. Pannon House is one of Hungary’s most modern and “greenest” interactive corporate headquarters built in the spirit of environmental consciousness. A great example of successful postindustrial brownfield development awarded with Europa Nostra prize in 2003. Wood-piles imitating pavilons in harmony with the nature. Rolling Study Path is a special environmental education service with an equipped lab coach of the already unique children-run mountain railway of Budapest. Built in 1874 as the world’s third mountain railway “Fogaskerekű” is a great transport link between the town and its hills. We will take it from Széchenyi Hill [F] down to Városmajor [G]. A nice park and a great study path about the urban birds. 2. bike activism – meeting activists (e.g., critical mass) at Velodrom, BikeKitchen etc. Humusz has a brilliant set of educational tools on waste and waste prevention. Check them out and have fun! “Landfill waste is resource stored in the wrong place” – create some trendy stuff from the rubbish bin. Sas Hill nature reserve is a living museum of the Hungarian capital in terms of natural values restricted to a very small area, and a marvellous panorama. morning: data collection Guided tours through different parts of the city with the involvement of local CSOs/groups active on the grassroot level. From the Garden city to the transition town: Wekerle is a town in the town with a special atmosphere of the past and some great ideas for the future. Guidance is provided by Wekerle Community Association. Magdolna Quarter is among the worst reputated areas of Budapest. However, some really remarkable initiatives started here – worth to visit! Guidance is provided by Hungarian Young Greens (ZöFi). afternoon 14.00-18.00 GREEN MAPPING WORKSHOP II. *using B4 blog, flickr etc. 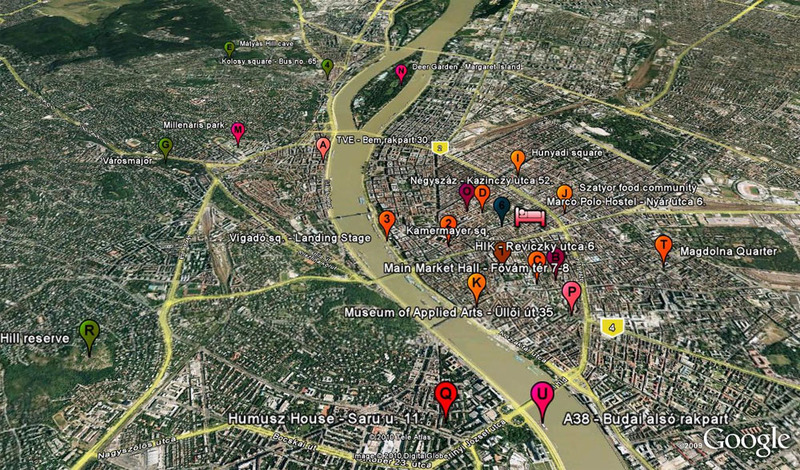 Check out the actual 4B Budapest visit map! 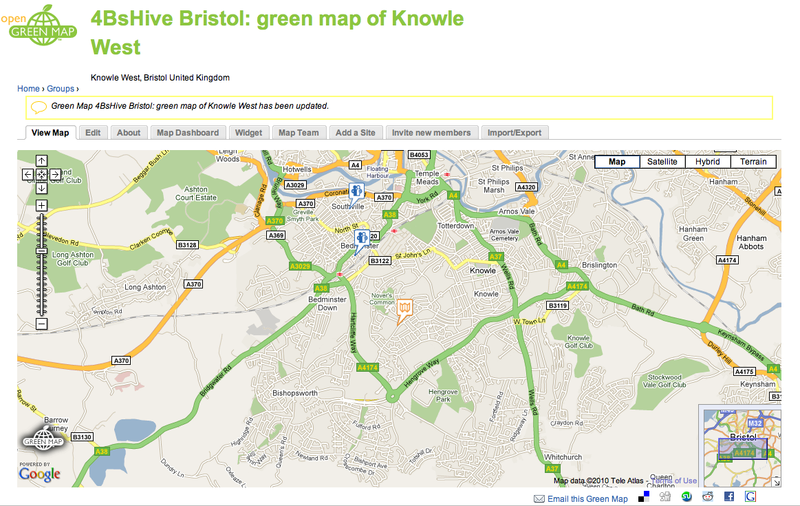 To start people off I have added a first entry for Bristol on the Open Green Map here. 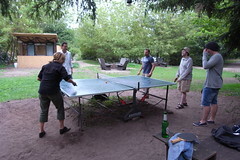 This is to give people an idea of what to expect when we go to Berlin in August.